The Jasmin Academy returned to Budapest for a second edition! Jasmin was proud to welcome more than 160 of its prestigious partners to Budapest, the birthplace of the famous website. Jasmin Academy dedicated this second edition to strengthening the ties between the website and their worldwide partners. 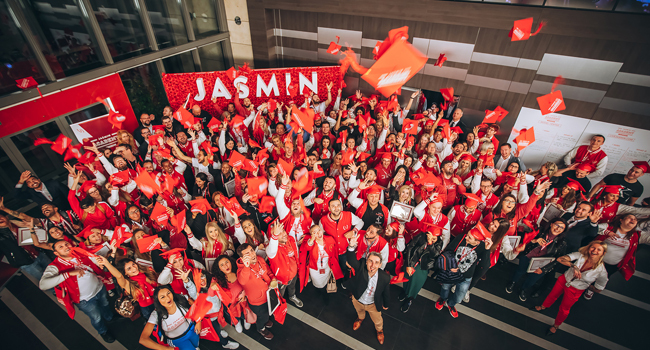 Invitations were sent out to Romania, Colombia, Russia, the UK, Kazakhstan, Philippines, Ukraine, USA, and Hungary, requesting the presence of many high profile Studio Owners, Managers, Trainers, and Models at the second Jasmin Academy, which successfully concluded earlier this week. The day started with a workshop dedicated to models held by the group’s CPO Zsolt Theiss-Balázs. “The goal of my seminar was to show our partners how they can become more successful overall. I believe that the key to persistent professional success is focusing on the individual model and letting them shine. In other words; put the model in the limelight and watch them thrive.” explained the CPO. His workshop, together with other important seminars that industry veterans held, covered all the aspects of professional live camming. Some of the other key workshops were dedicated to how to stand out from the crowd, how to build up a member base, how to strengthen it, and how to increase their earnings. The Customer Support department is a huge part of Jasmin, so naturally, they also held a seminar about the common misconceptions of the department, what their role is, and how they are able to assist the model or studio. Jasmin.com is adult-centric lifestyle and entertainment website that has won numerous awards over the decade since its inception. The service delivers high quality, chic content with a focus on the more alluring aspect of glamor work. 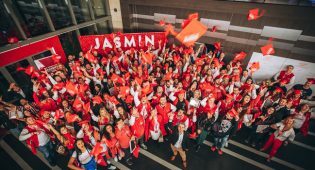 The website is home to over 200 000 active models, with 2000 of them online at any time of the day and over 35 million daily users are testament to Jasmin.com’s quality and quantity of service. For more information, please do not hesitate to contact press@jasmin.com or visit our site.